"Very easy to speak to. Explained things in plain English, down to earth." "#7. I am a physician. " 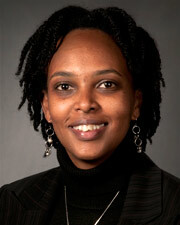 "Dr. Tsegaye was very responsive and seemed to really care." "Excellent care - Highly recommend her to others." "I have very good experience with this dr."
"They always included in decision about my treatment." "Dr. Tsegaye was wonderful, I felt very comfortable with her. She was very knowledgeable, and showed me she understood my concerns, and how to treat my issues." "She was thorough, a good listener, and explained what could be done clearly." "I will recommend this provider."